In this case a picture is worth a thousand words. I want to first of all say I drank this beer, it was good. I’ve had better saisons that I liked a lot more, but this was good. For me it hit right in the middle of the great beer/bad beer continuum. It was drinkable. That said it tasted like a Pina Colada to me. Ok, it wasn’t that sweet, but the banana esters were off the chart for me. It smelled like bananas and tasted like bananas from beginning to end. This beer was a year old. Perhaps that had something to do with the flavor of this brew. Maybe during the aging process the beer went bananas. I don’t know, but there really isn’t a whole lot more to tell. I’m sure most of you have had this beer before. What did you think? Was it a banana bomb like mine, or perhaps I let it age too long before I drank it? Let me know your thoughts in the comments below. ← The NEW Wild Turkey 81: Less Is More? Interesting. I’ve never let a Hennepin sit for a period of time, always drank it fresh. Drinking it fresh I remember it not being as sweet, with very little banana flavor. I wqonder if that didn’t affect the flavor quite a bit Matt. I’ll have to pick up another one and drink it fresh to see whether that has an impact on the flavor. Thanks for dropping by and commenting Matt. I will have to pick one up now to see, Don! Any excuse to pick up a beer from a normally good brewery is always well received, and acted upon swiftly! Glad to be your excuse, if you need one. Hopefully it will be a little more multi-dimensional than the banana split I had. Yeah Clayton, I know it was a long time, but it didn’t taste like it had turned. But perhaps like IPAs fade over time maybe the same happens to saisons except the bananas move in. I drink this beer often. It’s my favorite commercially available Saison (unless you count Black Raven Brewing who only does theirs once a year and doesn’t bottle it). Never have I once tasted bananas in it. Not even a hint. Might have to give this one another shot. Yeah Evan, I think letting it sit for the year might have given it that fruity quality. I’ll have to try it fresh and see if the flavor changes. Had it during a sushi dinner with The Wookie, The Alemonger, and our wives. Also had some Duvel, Avery White Rascal, and Hitachino Nest White Ale. All were delicious and went well with our meal (wasabi fries! must have them again!). Don’t remember the bananas, but I do remember it being a crisp and delicious beer. Then again, I was pretty toasty at the time. Will have to re-try this one. Sounds like sushi pairing would be good. 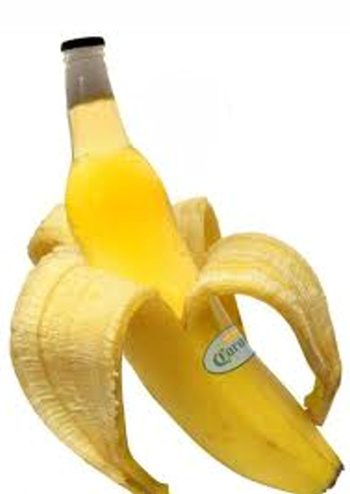 The more I hear back, the more I am convinced that the banana thing happened because I let it sit too long. I’ll have to retry this one too. No bananas and have been drinking it all week. I actually thought it was more floral and yeasty than sweet. and it had more of a dry malty sweetness rather than a fruit sweetness. I love it – give it another go. I’m new to Saisons – I’ve had this and New Holland’s Golden Cap – which I thought was more fruity than the Hennepin. What’s your favorite (Saison) ? Justin, my favorite saison, hands down, was Avery 16th Anniversary beer. I think I bought about 10 of the bombers while they were here, but just like all good anniversary brews it vanished never to reappear. It was an amazing saison however.